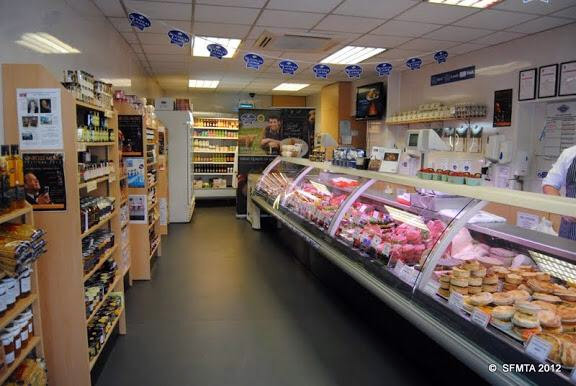 Hunters of Kinross is a traditional butcher's shop, established in Kinross in 2008 by master butcher Iain Hunter and staffed by 5 full time skilled butchers with a combined experience of 140 years! Iain is a Scottish Craft Butcher with over 30 years of experience in the trade, having previously managed some of the largest and finest butcher's businesses in Edinburgh. He also took his skills all the way to Australia, where he worked with his family in their Scottish butcher's shop in Melbourne to produce traditional Scottish black pudding and haggis. As well as producing these Scottish specialities, he and his wife Pamela also promoted them on national television and sold them to large department stores and delicatessens. As a master butcher he is an expert at cutting and dressing all meats, but is particularly well known for his venison butchery skills, and regularly gives demonstrations at trade fairs such as the Scottish Game Fair and the Scottish Butchers Trade Fair. Given his mastery, venison is one of Hunter's specialities; we sell both roe deer and red deer, wild from the Perthshire hills. Hunters of Kinross is pleased to be a member of several quality assurance schemes and trade associations, giving you added assurance that we only deal with the best producers and suppliers. These include the Scottish Federation of Meat Traders Association as well as Quality Meat Scotland, a quality assurance scheme for Scottish butchers, Scottish Craft Butchers and the Scottish Butchers Club. Here at Hunters we are particularly proud of the many industry awards that we have won for our handcrafted products – 38 awards in 3 years, and counting. These include the prestigious Scottish Craft Butcher Diamond Award for our venison stir fry; our multi-award winning breakfast pie, which has a Gold award from Scottish Craft Butchers; Silver awards for our lamb koftas and our chicken kebabs with Japanese black pepper sauce; not to mention the numerous awards for our range of gourmet sausages, burgers and pies. Our multi-award winning steak pie is fast achieving legendary status with our customers! We love having our shop in the beautiful town of Kinross and are proud to be part of the community, supporting local businesses and charities. We supply meat to many of the local hotels and restaurants, including The Courthouse, The Muirs Inn, Heaven Scent, Loch Leven’s Larder, Cashmere at Loch Leven, Lendrick Muir, Kinross House and The Grouse and Claret to name but a few. Kinross High School Home Economics department uses our meat in class, and we even supply The Central Chip Shop with our award winning steak pies. Further afield we supply McTaggarts in Aberdour and seafood and steak restaurant The Ship on the Shore in Edinburgh. We support several local charities and clubs with sponsorship, fundraising and donations of meat for fundraising events. These include the Scottish Charity Air Ambulance, Kinross Rugby Club, Kinross Cycling Club and Kinross Potager Community Garden. We were especially happy to spread some Christmas cheer by giving pensioners living in local sheltered housing roast beef joints (their choice) and fresh veg for their Christmas dinner. We are also lucky enough to have a wealth of independent Scottish suppliers whose goods we stock in our shop, and we source locally whenever possible. You’ll find genuine Scottish honey from Chain Bridge Honey Farm, who have been operating in the Scottish Borders for 80 years, tablet from Kinross small business A Sweet Treat, vegetables from just up the road at Channel Farm, and strawberries delivered daily from Benarty Fruit Farm. Proprietor Iain Hunter is a talented man. Not only is he a master butcher, he is also a celebrated jazz singer! 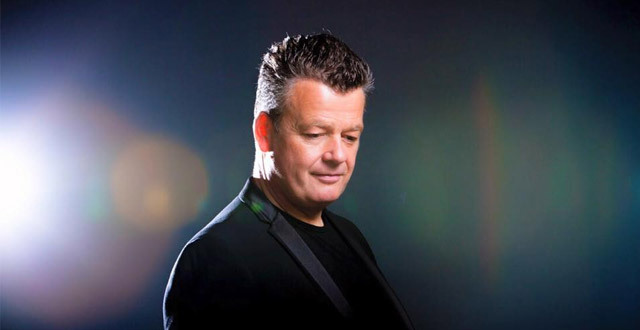 Iain has performed at the Edinburgh Jazz Festival and regularly performs at corporate events, weddings and private parties, although his career highlight to date is singing at the iconic Bellagio Hotel in Las Vegas. ©2015 Hunters of Kinross. All rights reserved.